Contains herbal ingredients acclaimed to be the best in the Indian system of medicine for the treatment of coughs of varied etiology. 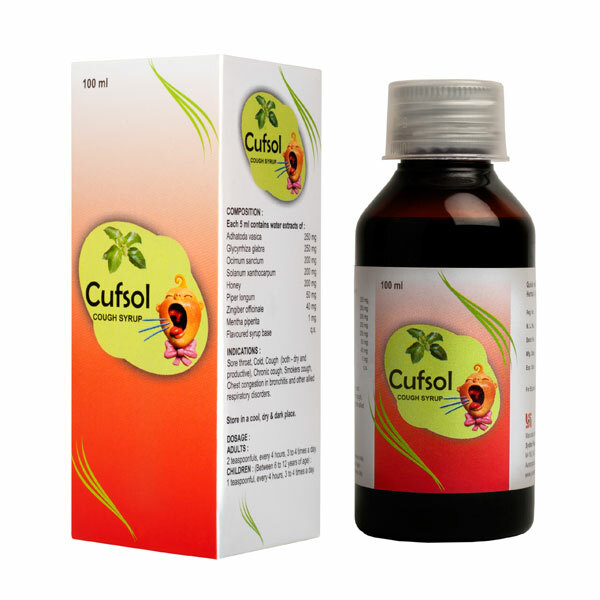 A safe and effective herbal cough syrup with expectorant, mucolytic & demulcent actions. Provides bronchodilator activity. Offers antimicrobial and anti-inflammatory actions.